Christmas is coming and Tally is getting fat . . . . . I am sat here with workmen in my kitchen and Christmas cakes in the oven. Thankfully I got them in just before they arrived to do some remodelling on my kitchen: tiling my work tops, insetting a marble slab for pastry work and putting a wonderful New Zealand wood (Rimu) surround on my breakfast buffet . . . my Christmas present to myself! All being finished off before the end of the weekend; because I then take off to pick my mother up from the airport. She is flying out from the UK for two months holiday in the sun with her son. My Christmas present to her. .in fact its that easy you could get your children to do it if you like! Its a lot lighter in texture and flavour than the usual cake. Of course with all this testing, it means I now have cakes coming out of my ears. But nothing goes to waste from my kitchen though . . . I will be taking them down to the Salvation Army, I am sure they will be able to put them to very good use. Now theres a thought . . . how about your present to me? Why not bake a spare one and pop it along to the Salvation Army also? . . . tell 'em Tally Claus sent you! Boy, does my house smell wonderful as I sit typing this, very noisy with grinders and buzz saws going, but smelling absolutely gorgeous . . . aromas of the cakes baking, the perfume of the brandy, sherry and Grand Marnier and that unmistakable waft of fruit mingling in the air. I have given some options for the cake as we all like it slightly different and you may not want the amount of alcohol I like in a cake! Normally for cake recipes I like to give exact amounts, but for this one I have made it childs play by doing it all in cups. I tripled this recipe and have two 20cm round 8cm thick cakes baking and then I have put the rest of the mixture into deep muffin trays, to make some smaller versions, which I think would make wonderful little gifts, all wrapped in cellophane with a bow. Make it/them now, place in an airtight container and allow the flavours to fully mature for Christmas Day. Once I have removed the greaseproof collar and base, I always prefer to wrap the cake immediately in a clean tea towel, this traps the heat in and keeps the cake moist, by inverting the steam back into the cake. 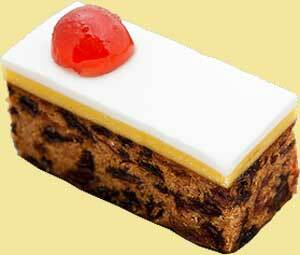 Enjoy your Christmas Cake and bon appetit . . . . .